Malaysia is the ultimate travel destination, overflowing with cultural diversity matched only by its phenomenal natural landscapes. Yes, that’s a pretty big claim, but we’ve got credible sources to back this up. By that, we mean we’ve gathered the scoop from people who’ve gotten their feet wet and their hands dirty. We’re talking about serious globe-trekkers and travel aficionados who make it their mission to document and share their adventures with the world on their blogs. Thanks to these folks, CurrenSeek was able compile a list featuring the top travel spots in Malaysia. Now, we all know that most of us have different expectations when it comes to travel. For some of us, it’s all about rest and relaxation, enjoying a sun-soaked afternoon by the beach off Sipadan Island. For others, we travel to experience a new culture and to step out of our comfort zones. The best thing about Malaysia is that whatever travel means to you, there’s bound to be something you’ll find that is up your alley. 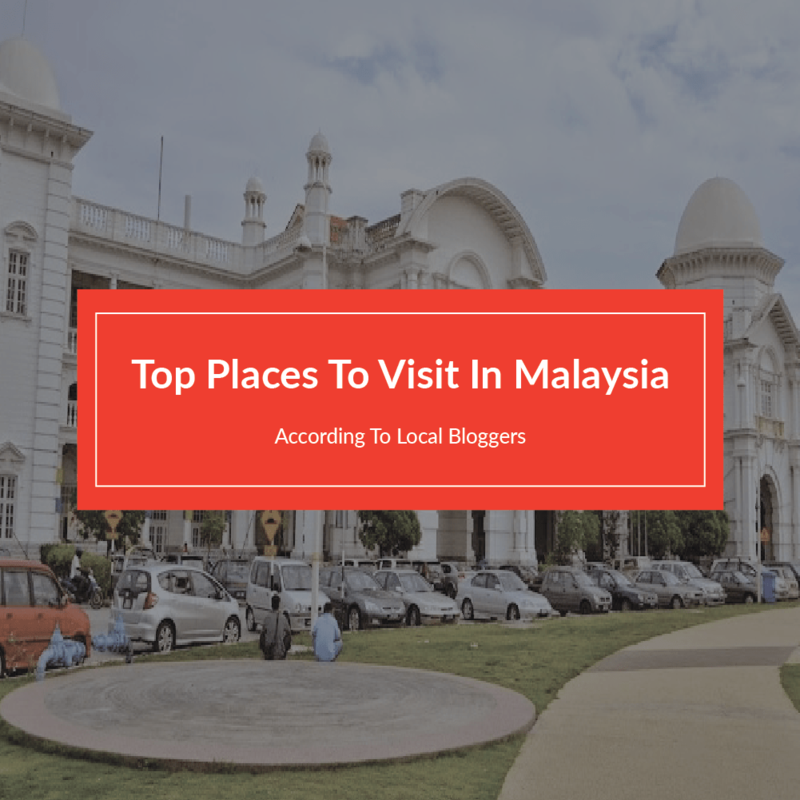 So without further ado, let’s begin counting down to the top places to visit in Malaysia as recommended by our local travel bloggers. 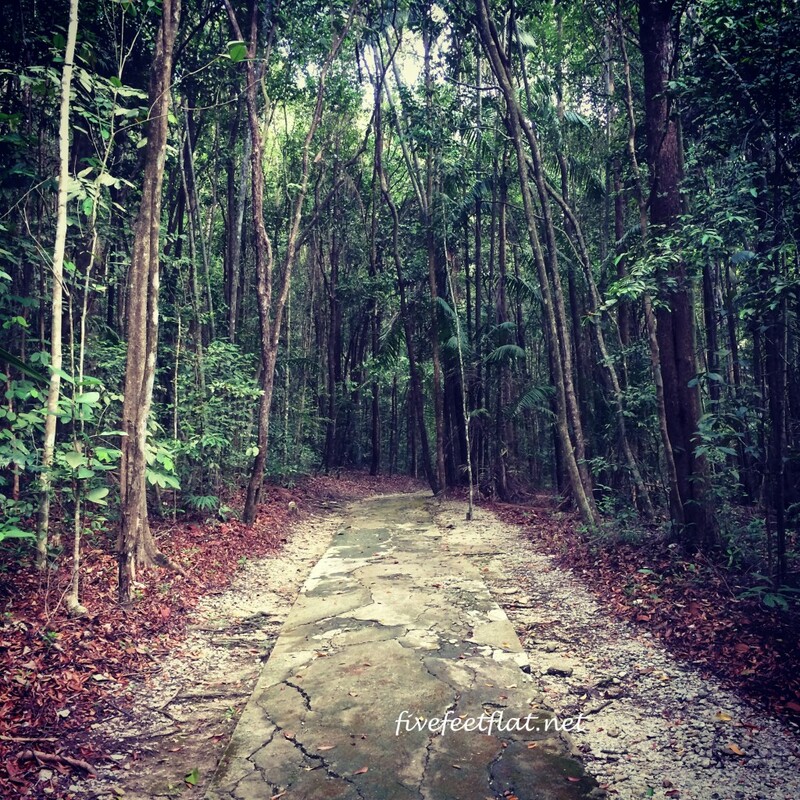 Having spent a third of his life living and working in several countries, this Malaysian who goes by the initials RaW, started a blog, RambleAndWander.com at the insistence of his family friends. What started out as a personal travelogue for his close-knit circle has since evolved to become what it is today—a full-fledged site decked with detailed musings and reviews of his many adventures across the globe. 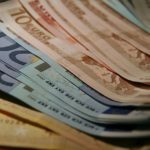 On occasion, guest bloggers contribute to the site. Aside from all the awards and recognitions, RaW has also been featured on the Lonely Planet, BBC Travel, CNN and Malaysia Airlines. With the help of his travel contributor who was born and bred in Ipoh, RaW takes us to the capital city of Perak, just 200km north of Kuala Lumpur for an insider’s peek into a town many has found to be ever so endearing. The moment you step into Ipoh Old Town, you can’t help but feel like you’ve been transported back to a forgotten era. Much of the town’s old charm and historical landscape have been well preserved over the years as though nothing has changed. 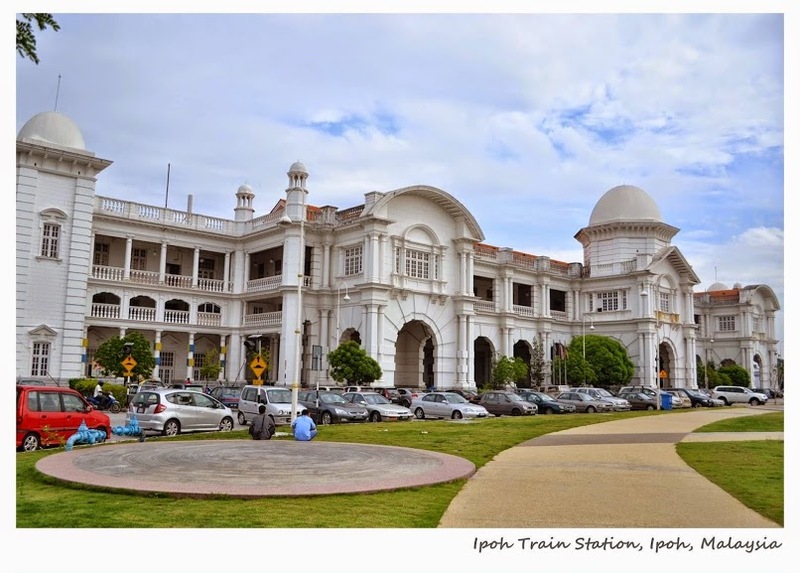 Remnants of the Colonial occupation stand visibly and proudly through the Edwardian architecture of the Ipoh Railway Station and City Hall. 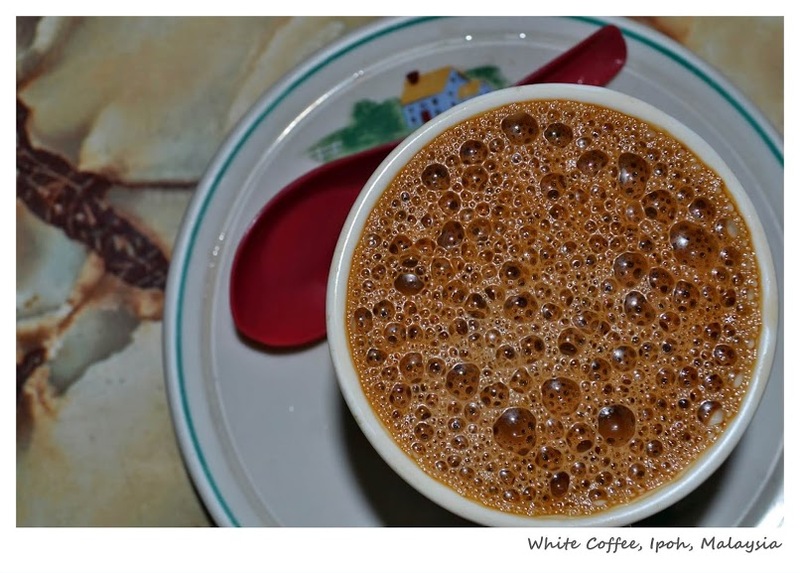 If you’re a coffee enthusiast, you won’t be disappointed with a freshly-brewed cup of the famous Ipoh White Coffee. Frothy, aromatic and best served piping hot, you’ll find this staple concoction all across town, but the best brew can only be found at Kedai Kopi Sin Yoon Loong, so head on over! 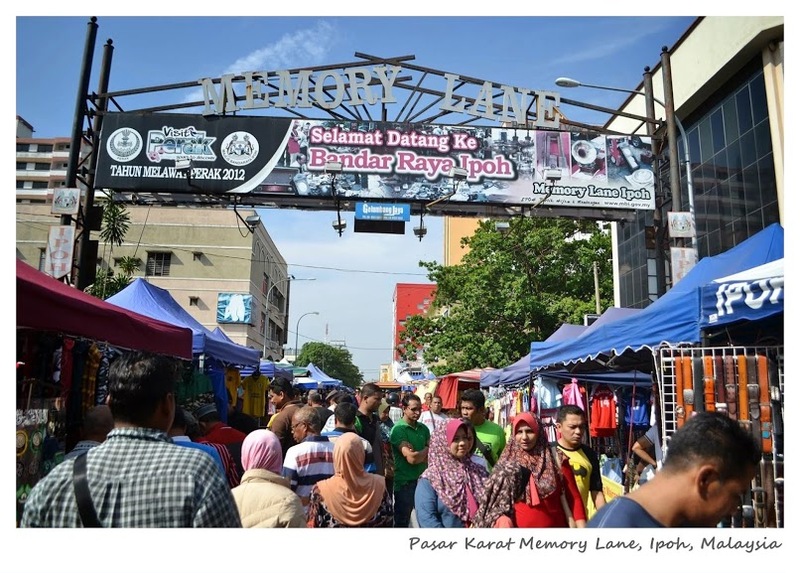 For even more nostalgia, many flock over to Pasar Karat Memory Lane where they scout for hidden treasures and antiques at bargain prices. Stretching along Jalan Horley, there’s so much to see at the flea market from used electronic goods to clothing from a fashion era of a distant past. In other words, Ipoh is truly a place for people who love taking their time to wander and to explore. As they say, if you search long and hard enough for something, chances are, you’ll find it. Pamela and Jerry are the people behind malaysianfoodie.com—a popular lifestyle blog with a wide range of resources—that consist of restaurant and hotel reviews, travel tips and special features on products and events. Like all travel bloggers, both Pamela and Jerry love exploring the world, just as much as they love reliving their adventures by sharing their experience with readers through their blog. 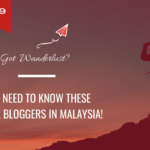 With nearly 3,000 hits per day, their blog is frequented by people looking for local travel insights, most specifically on Penang because both Pamela and Jerry happen to be well-informed Penangites with many secrets to share! Listed as on of the ‘top 10 islands to explore before you die by Yahoo! Travel’ in 2011, there’s certainly no end to what this culturally-rich destination has in store. A stroll in the heart of Georgetown, Penang will take you back in time as you bask in the setting of days done by. Amidst the unique charm and the eclectic architecture of the town’s colourful colonial history, you’ll see that every street corner has a story to tell. 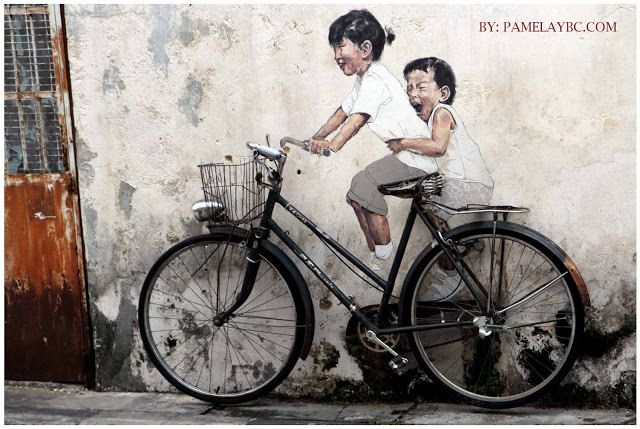 In recent years, these streets have been injected with a new breath of life—one-of-kind mural masterpieces that have transformed the streets of Penang. Today, these iconic art works are on every traveler’s ‘must-see’ list. 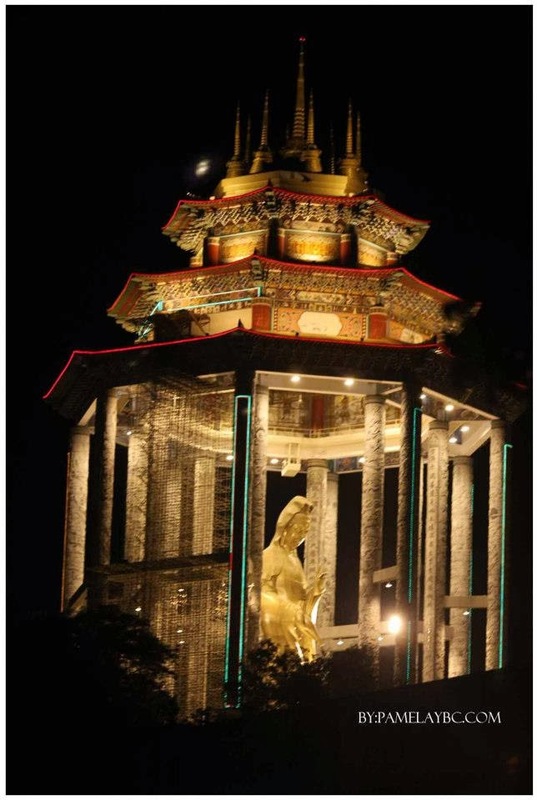 There are countless of historical sites to visit in Penang but nothing with more presence and grandeur than the sacred Buddhist temple of Kek Lok Si—known also as the ‘Temple of Supreme Bliss’—the largest temple of its kind in Southeast Asia. The main attractions here include the giant 36.5 meter bronze statue of Kuan Yin and the Pagoda of Rama V, a magnificent 7-storey architectural gem that combines the Chinese, Thai and Burmese cultural heritage into its construction. No visit to Penang would be complete without the requisite gastronomic binge. Voted ‘Best Street Food’ by Time Magazine in 2004, Penang has consistently lived up to its reputation as a food haven. 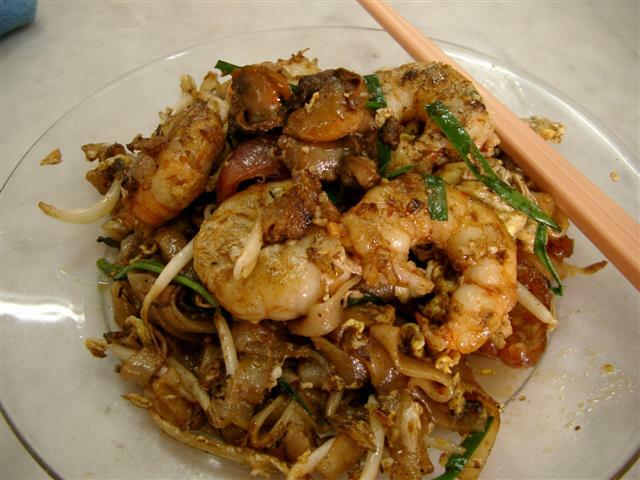 From Char Kway Teow and Hokkien Mee to Cendol and Pasembur, Penang offers an exotic mix of mouthwatering cuisines to choose from. A culinary paradise in a town steeped in history, what’s not to love? Even with a career in the medical field and a stint as a freelance artist, Vanessa Workman also fills the role as founder and executive editor of a travel blog, where she expresses her passion for travel, writing, blogging and social media. Originally from Pensacola, Florida, Vanessa is currently based in Langkawi, Malaysia, where she spends much of her leisure time discovering the beauty of neighbouring cities and countries across Southeast Asia. Never one for overrated, hyped-up travel spots, Vanessa likes to explore places less frequented by tourists. Most recently, she revisited the Oriental Village in Langkawi island. Although there have been unflattering reviews of the ‘village’, Vanessa was eager to give the place a second glance. Like most of these lesser known tourist spots, there’s always so much more than meets the eye. From Fish Spas to an amphibious ride on the Duck Tour, you’ll be pleasantly surprised by the amount of fun you’ll have just being here. For the best view of the ‘village’ and then some, many people flock to the Panoramic Cable Car ride. At the end of the day, Vanessa says, if you look beyond the requisite souvenir shops and knick-knack stands, you’ll observe the true beauty of the place as it sits at the foot of Gunung Mat Cincang, surrounded by the quiet and peaceful setting only nature can offer. The husband and wife team who created KampungBoyCityGal.com have been blogging about food and travel since 2005. 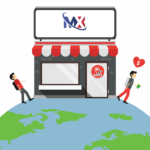 Today, they generate more than 4,000 unique visitors and 8,000 page views daily. Having been featured in local and international press including Travel+Leisure and The New York Times, these two certainly know what they’re talking about! As we travel further down south, KampungBoyCityGal recommends stopping by Desaru in Johor—a coastal town frequented by locals and the occasional Singaporean traveler—for its rich natural environment that is such a contrast from the hustle and bustle of city living. 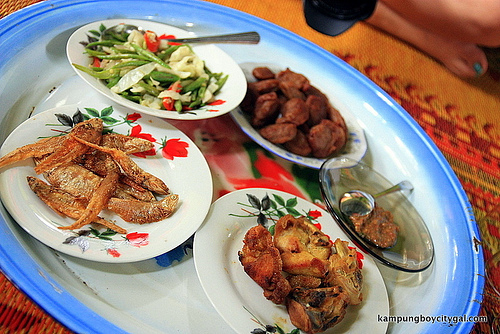 Start off with an authentic home-cooked meal at the penghulu’s (village chief’s) kampung home, where you’ll be served a sumptuous spread of mouthwatering Malay dishes. After your meal, head on over to the Desaru Fruit Farm, a 180-acre land housing a wide array of tropical fruits, local herbs, a petting zoo, a koi fish pond and other attractions. Here, many visitors stock up on non-seasonal exotic fruits like, honey oranges, water guavas, sour sops, and star fruits. Having been named as the best agro-tourism destination in Malaysia, the farm welcomes countless of tourists from all over the world all year long. 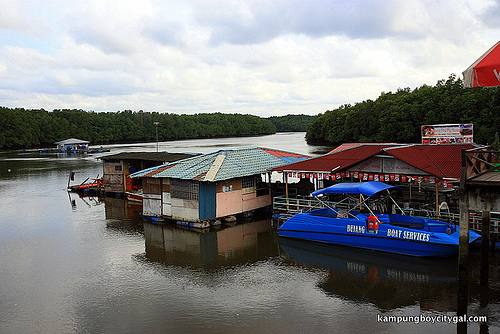 Another top attraction in Desaru is its firefly cruise at the Sungai Lebam River, where you’ll witness one of nature’s most unique wonders—the firefly. As thousands and thousands of fireflies light up the line of trees that frame the river banks, the entire place is illuminated. 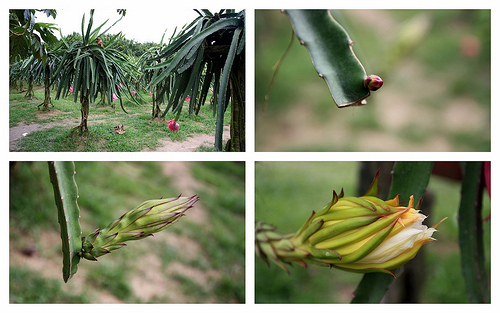 For nature lovers, this is indeed a sight not to be missed! A die-hard foodie who’s always ready to explore new destinations, KJ is a spirited Taiwanese gal, happily living in Malaysia. Her blog, AlwaysTravelicious.com is an extensive hub for all of her many adventures from places near and far including the Czech Republic, Macau, Hungary, France, Japan and many more. Her readers follow her as she documents her expansive travel footsteps and her glorious food trails. 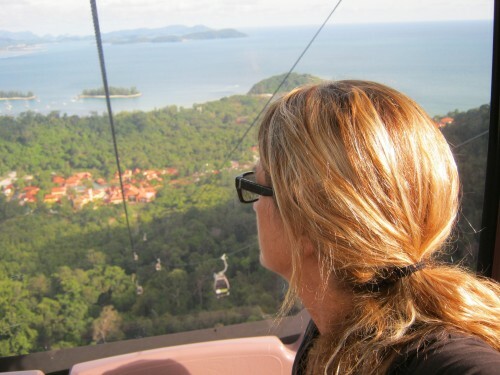 One of KJ’s more memorable visits in Malaysia took her to Colmar Tropicale in Bukit Tinggi. Located 2,700ft above sea level, the highland resort features cobbled streets, a clock tower and timber-framed buildings painted in pastel hues reminiscent of a european medieval village as it is inspired by the Alsace region of France. There’s plenty to do at the resort with activities that include a fun fair, canopy walk, rock climbing and even a petting zoo for the kids! 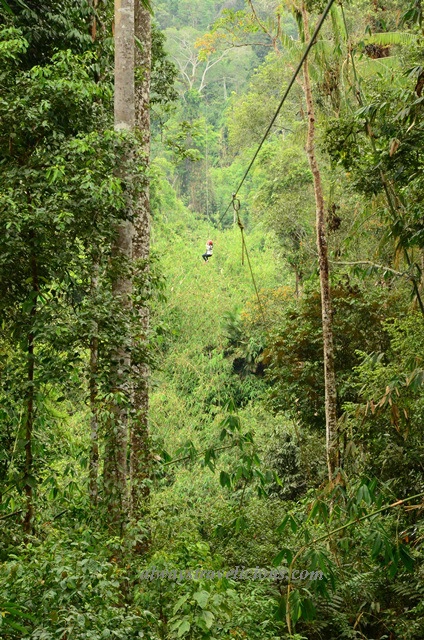 For those seeking a bit more of an adrenalin rush, try conquering the ‘flying fox’ trail—the longest trail in South East Asia. A quick shuttle from the resort will take you to the Japanese tea house and a botanical garden. 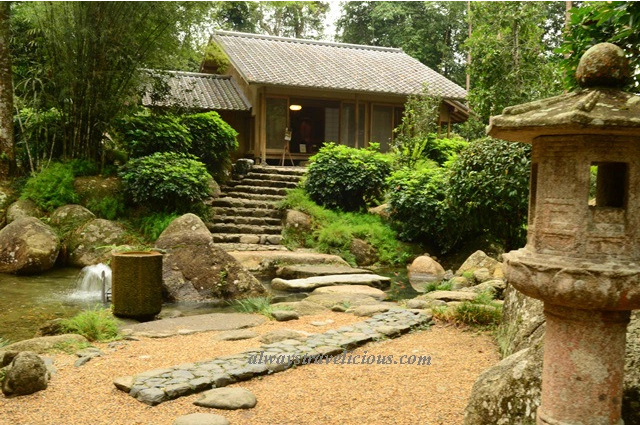 Here, you’ll enjoy the air of tranquility being surrounded by lush greenery and a beautifully landscaped garden of rocks, a koi pond and stone bridges. At the Japanese tea house—the world’s first in a tropical forest—you’ll get to don a kimono while you experience the traditional tea ceremony. 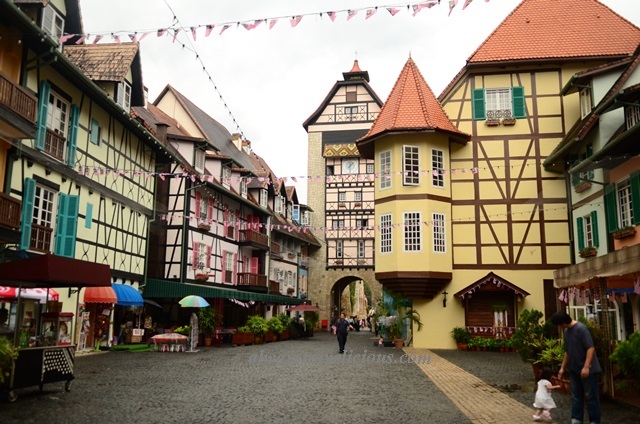 Whether you’re there for a relaxing time or up for some excitement, Colmar Tropicale in Bukit Tinggi offers enough variety that will appeal to many. Standing proudly at only five feet, Anis Ibrahim of FiveFeetFlat.net is living the dream as a travel writer who has discovered the secret to leading a happier, more fulfilling existence—by blogging about her travel adventures. Having quit her full-time job back in 2012 to embrace her passion for exploring the world around her, Anis has already worn out her passports but is not planning to slow down anytime soon. 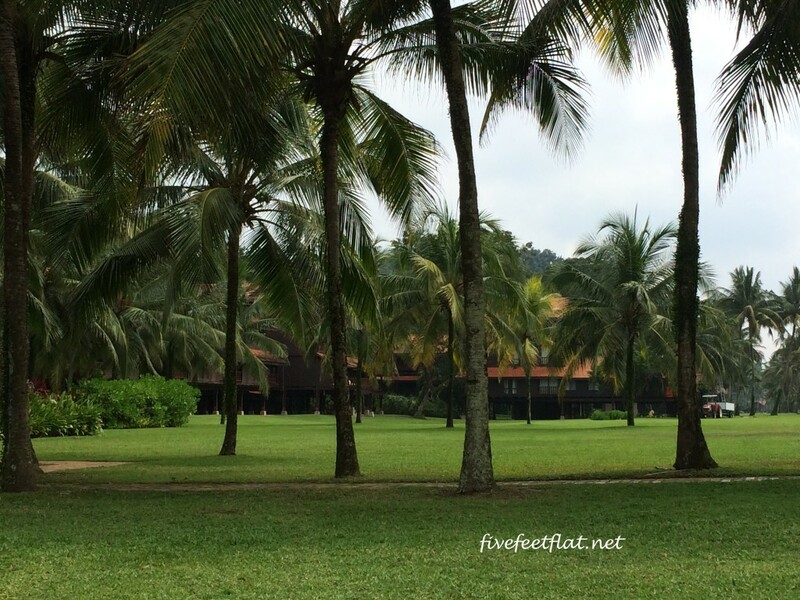 A self-proclaimed ‘non beach person’, we thought Anis’ review on Cherating Beach in Club Med—one of the more popular beach resorts in Malaysia—would not only be interesting, it would also be entirely unbiased! 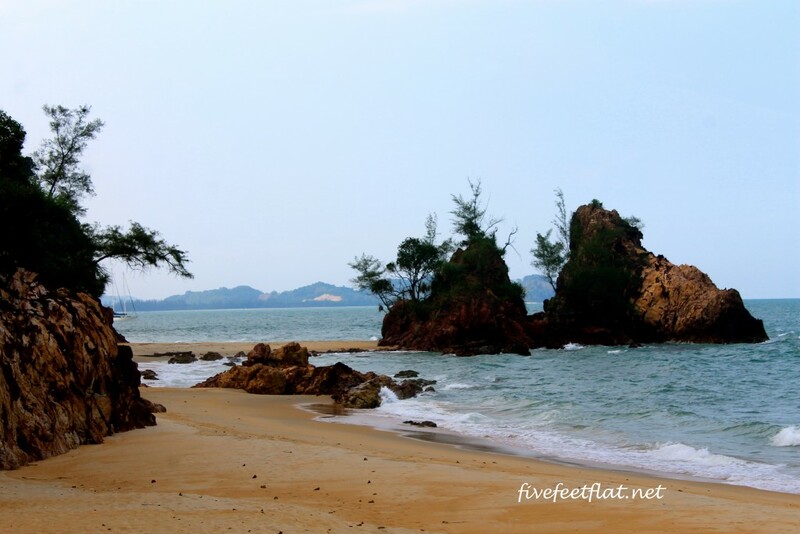 The Club Med Village at Cherating Beach is surrounded by a lush tropical rainforest and overlooks the South China Sea. Probably the most distinctive feature about the resort is it’s eco-aware architecture, which features traditional kampung-style timber bungalows perched atop wooden stilts that integrate seamlessly into the surrounding environment. Much of the land across this eco-nature resort is protected, housing an abundance of wildlife that would excite any nature lover. 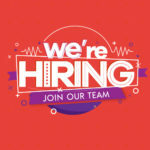 This natural setting is also the backdrop for many outdoor activities which include, rock climbing, archery, flying trapeze and air swinging, among others. If you don’t fancy sunbathing or lazing by the beach, then you’ll likely be overjoyed to discover that jungle-trekking is an option for you! Like many of the bloggers featured here, David Hogan Jr of MalaysiaAsia.com is an avid globe-trekker and probably has enough frequent traveler miles to rival George Clooney’s character from ‘Up In The Air.’ He has experienced working and living in Tokyo, partied at the Northern Mariana Islands of Saipan and even visited Evita Peron’s tombstone when he was in Argentina. In the last 5 years, David has been focusing on local travels in Malaysia ad around South East Asia. Sarawak is truly where adventure comes alive and David has certainly covered enough of its vast wilderness to tell us why! 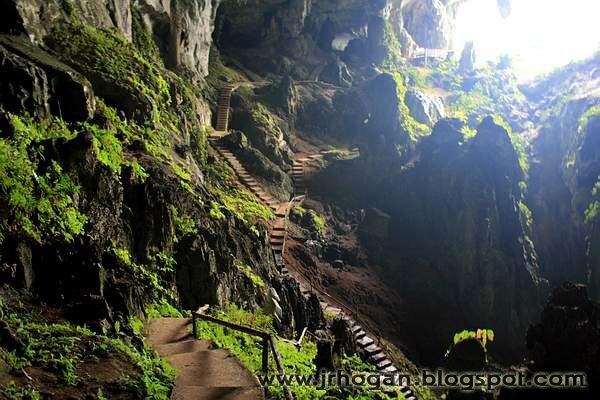 Nestled about 50km from the capital, around 8km from the nearest town of Bau, sits The Fairy Cave or Gua Pari. A truly majestic world of greenery with breathtaking views especially where sunlight pierces into cracked openings of the cave. Legend has it that this beautiful site was once occupied by fairies with magical powers. Today, stalactites and stalagmites that resemble human forms as well as gods and deities can be found throughout the caves. 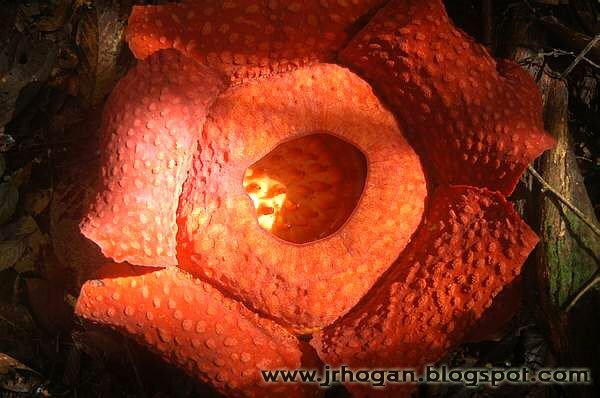 Another must-do in Sarawak for eco-lovers everywhere is Rafflesia flower spotting at the Gunung Gading National Park. The Rafflesia is the world’s largest flower and catching it in full bloom is truly a magnificent sight. Trekking up the lush rainforest is in itself a challenge for most, but along the way, you’ll learn to appreciate mother nature so much more. Apart from the glorious wilderness possessed by this state, Sarawak is a place rich in history and heritage. Tucked away on the foothills of Mount Santubong, sits the Sarawak Cultural Village—an award-winning living museum that accurately depicts the lifestyles of various native tribes sprawled across 17-acres of land and vegetation. 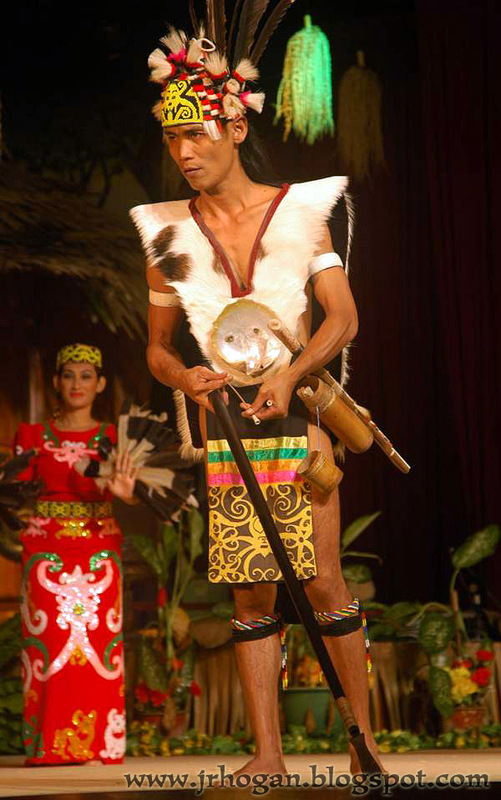 After touring the village, be sure to catch the multi-cultural performance, which will certainly open your eyes to the cultures and traditions of the people of Sarawak. For husband and wife duo, Mei and Jo, food and culture go hand-in-hand. They believe that in order to enjoy life to the fullest, we need to have passion in all that we do and cultivate a sense of curiosity about the world around us. Their blog, CCFoodTravel.com is the result of their life philosophy and apart from traveling and tasting around the globe, they’ve also made plenty of good friends along the way. Moving on and over to East Malaysia, Mei and Jo takes us to Kota Kinabalu, a city located on the northwestern part of Borneo Island. This modern and rapidly developing capital city of Sabah is fondly referred to as the ‘land below the wind because of its relative distance from the damaging typhoon belt. 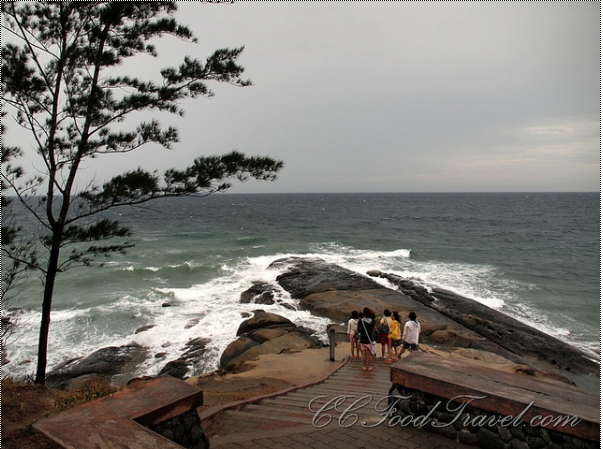 Looking out at sea on a clear day, you’ll get a clear view of the remote islands of Banggi and Balambangan from the Tip of Borneo in Kudat. At this very point is where the South China Sea waves meet with the eastern Sulu Sea waves. With the relaxing beaches and breathtaking sunsets found in Tanjung Simpang Mangayau as a natural backdrop, adding live music to the mix takes things up several notches. 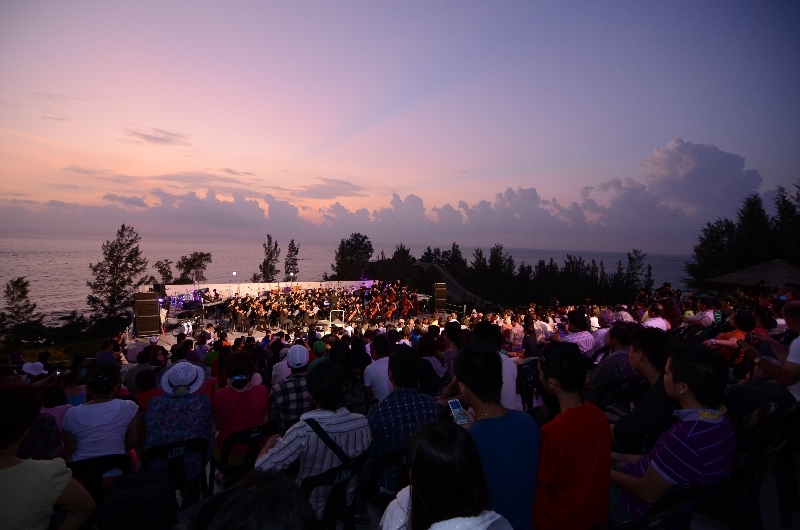 For many years now, the Sunset Music Festival have hosted local and international artists who travel from near and far in celebration of life, music and nature amidst the dramatic Sabah sunset scenery. Many come to enjoy the music and festivities, feasting on fresh seafood and making new friends. 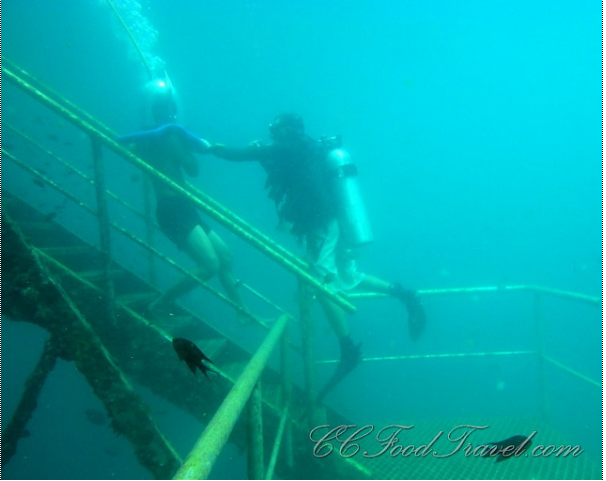 If the ocean world is what you’re after, then sea walking at the Borneo Reef World Pontoon off Sapi and Gaya Island is a definite must. Nothing will prepare you for the amazing experience of getting up close and personal with the reef as you walk among schools and schools of fish and exotic sea creatures. There’s much to do and see in Kota Kinabalu and in order to get a full experience worthy of sharing with friends and family, expect to spend a minimum of six days, but we’re sure you’d wish you stayed longer! Whatever’s on your agenda, it goes without saying that most of us travel to indulge and to have a good time. 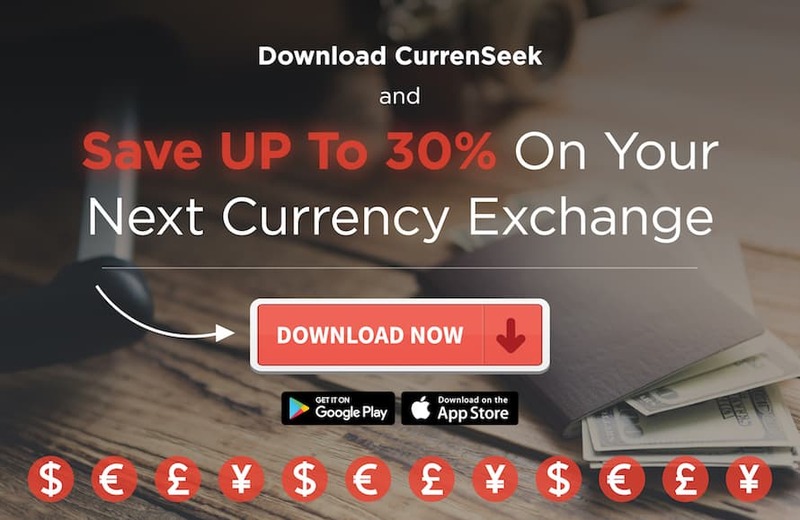 To make sure you have enough to spend while you’re exploring these wonderful destinations, get the best exchange rates with CurrenSeek. 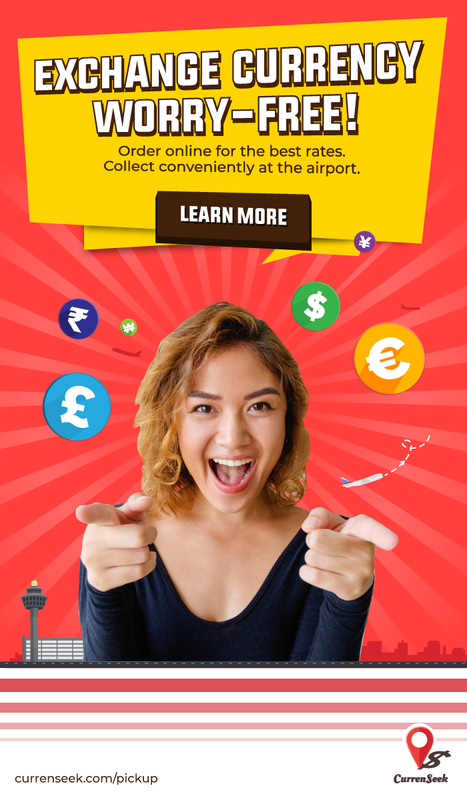 Download the app today and enjoy your stay in Malaysia!